Online group-funding campaign platform, Crowdtilt, has an update to its service. It has become certified to legally secure fundraisers for any registered 501(c)(3) organizations. 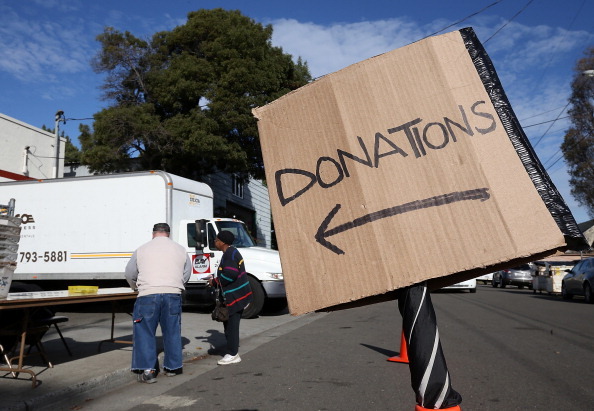 And on top of that, starting today, it can issue tax-deductible receipts for donations to them. Services like Rally, Crowdrise, Kickstarter and others all offer a platform through which anyone can raise money for their favorite cause(s). With this announcement, Crowdtilt will join them, but it says its 2.5% transaction fee sets it apart from the rest — Rally charges 4.5% while Crowdrise takes at least 4.95%, and Kickstarter takes 5%. But now, starting today, nonprofits be able to immediately receive released funds for no additional fee. James Beshara, the CEO and co-founder, says that he’s excited to see what this new functionality allows groups and individuals to use its platform for. In order to make this happen, the company says that a lot of compliance and regulatory work went into it and its users have been quick to adopt the trend of donating to nonprofits. Originally created as a way for charities and nonprofits to collect donations from people, Crowdtilt later shifted its focus to for-profit endeavors. With its latest update, the company seems to have gone back to its roots and help out those needed organizations and causes. What donors will find is that any individual can fundraise on behalf of a registered 501(c)(3) nonprofit. What this means is that you can create a fundraiser for victims of Hurricane Sandy or perhaps just the Red Cross. It includes a unique tilting feature that will help generate urgency in reaching the stated goal. Built-in social network sharing to sites like Facebook and Twitter have also been included. Lastly, funds are distributed to the nonprofit directly — no middleman or intermediary. Launched earlier this year, this San Francisco-based company has raised $2.1 million in seed funding from SV Angel, CrunchFund, Reddit’s Alexis Ohanian, Y Combinator, Paul Buchheit, Garry Tan, and many others.